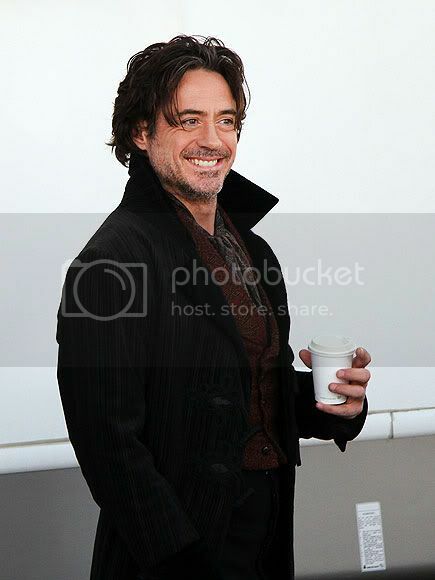 Coffee Talks and Cat Walks: Coffee Talks: Robert Downey Jr.
Coffee Talks: Robert Downey Jr.
Robert Downey Jr. was all smiles during a coffee break on the set of his film: Sherlock Holmes: A Game of Shadows in London last week. Coffee always makes me smile too! Labels: Celebrities, Coffee Talks, Robert Downey Jr.